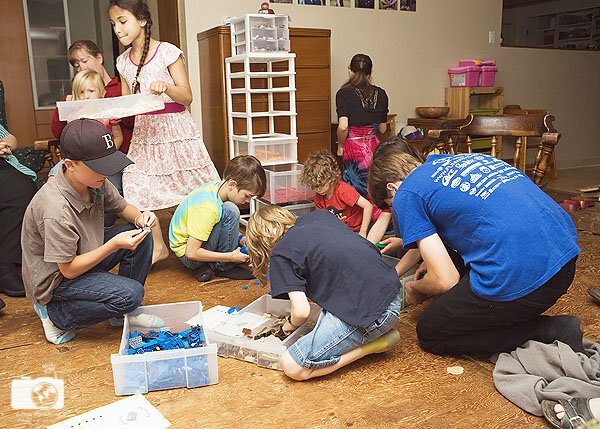 On thing I kept telling myself (and the kids who were helping) is we want it to feel like LEGO®. It’s all about the ambiance. 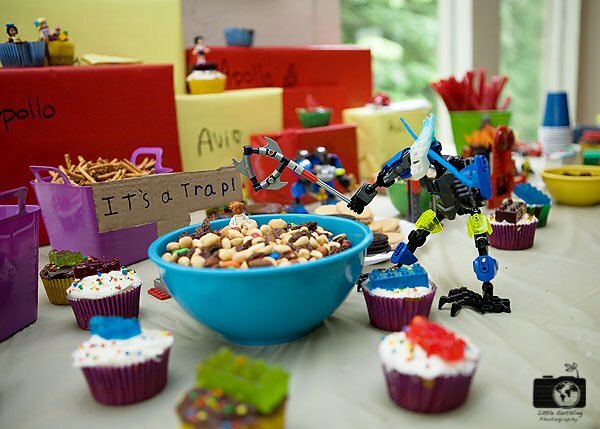 I focused on “LEGO® colors” and basic shapes…the square and rectangular gifts contrasting with the bright, round bowls. The overall effect is exactly what I was going for. 2. The Dollar store is your friend. I hate dollar stores…I hate the junk the sell, much of it over-priced….but for a last-minute party? It was perfect. 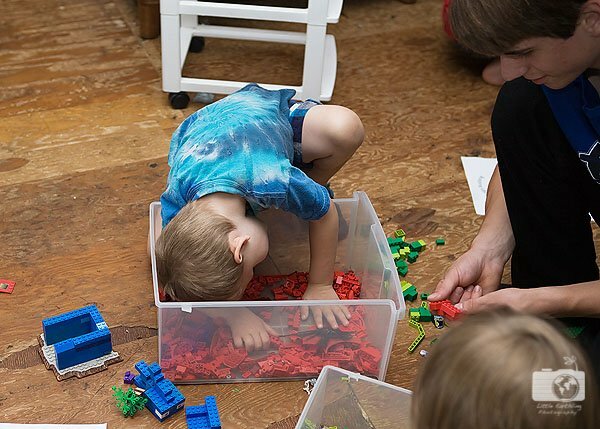 I spent $16 at a dollar store and came home with everything I needed to give our table a LEGO® feel. 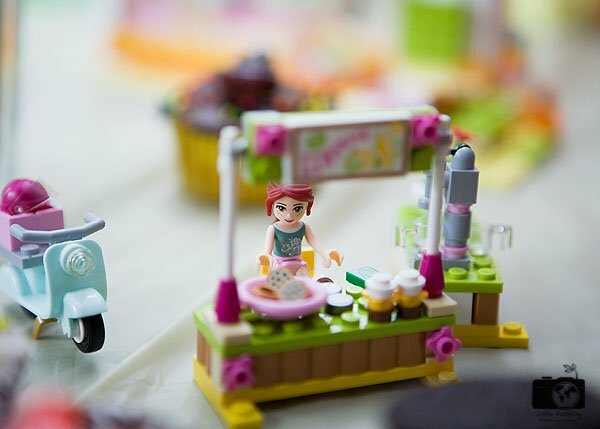 One side of our table was in traditional LEGO® colors, the other in LEGO® Friends colors. I chose red and yellow wrapping paper to give the feel of LEGO® bricks. 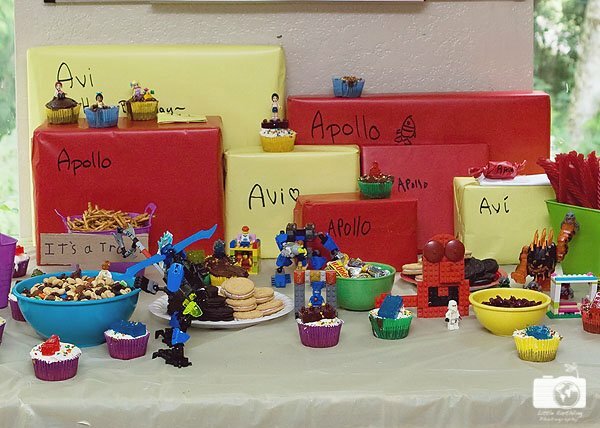 Along with the wrapping paper, cups, plates, napkins and tablecloth, I also bought several brightly colored bins in “LEGO colors”. 3. Target is your friend. I was disappointed to find there was nothing actually edible at the dollar store (well, there was psudo-food, but you know what I mean), so I headed to Target next. I spent about $25 on snacks. I bought: Oreo cookies in two colors, pretzels and assorted candy. I also totally scored with these Wilton Rainbow Bright Baking Cups. 4. 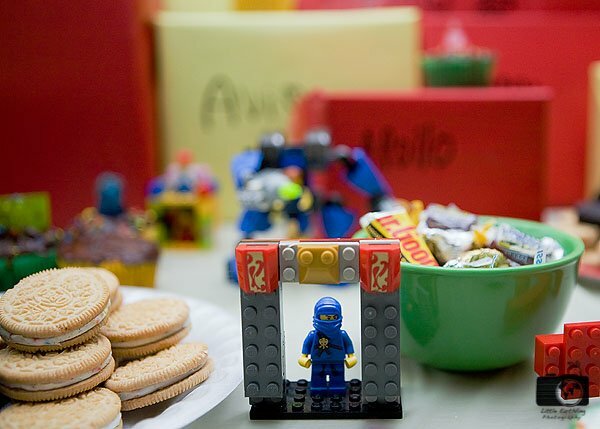 Use the LEGO® you already own as primary decorations. 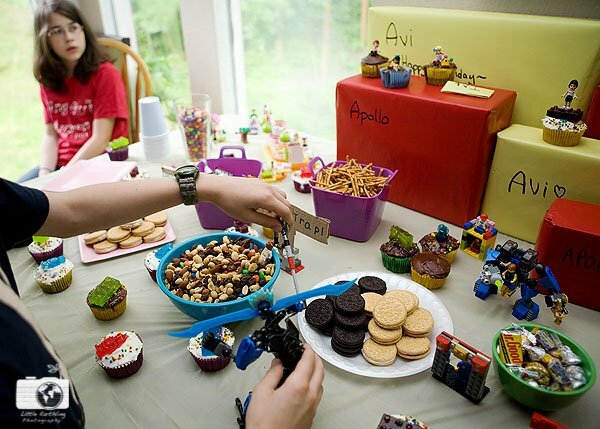 After getting the table arranged with gifts, plates and cups and snacks, I had the kids go gather their own LEGO® pieces and creations to use as decorations. 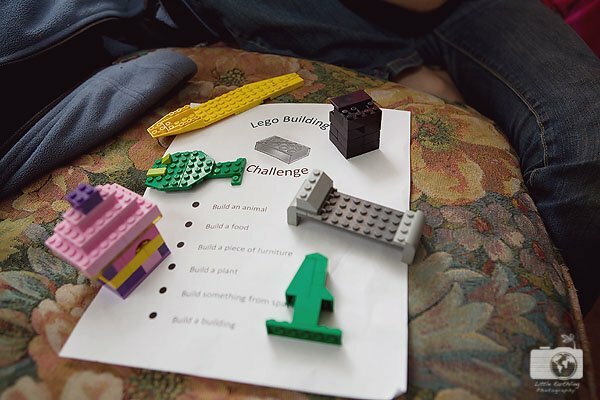 My kids had so much fun with this, and I am not joking when I say they enjoyed this so much more than if I had bought LEGO-themed everything as decorations. These, after all, were their very own creations. Creations they were proud of. What a chance to display and show them off! I cannot believe I didn’t get any good photos of the cupcakes! 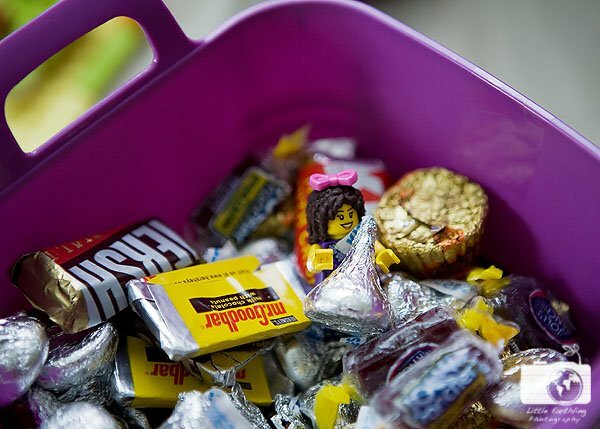 We used our LEGO® candy molds to make mini-figure and brick candies. Enoch and Kalina made these the night before. They simply put Jolly Ranchers in the molds and baked them at 350 degrees for 10 minutes! So easy and so cute. 5. Keep the activities simple. 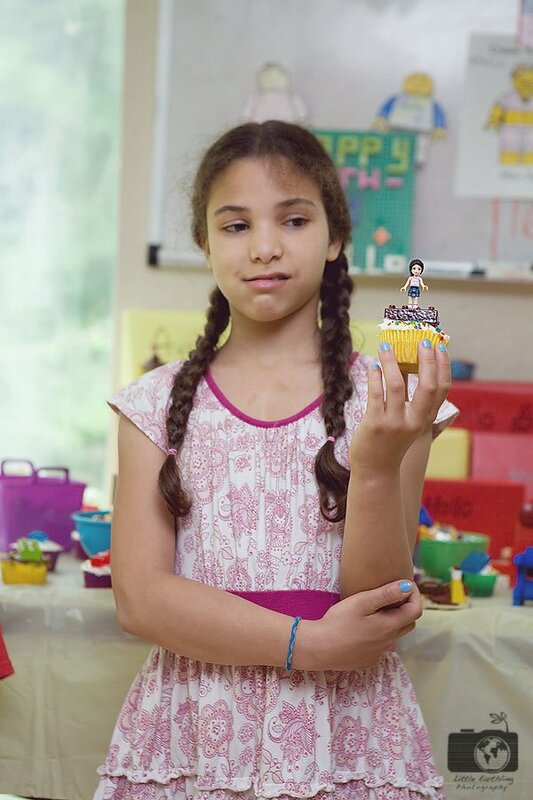 My LEGO® Pinterest board and my Party Ideas board are flooded with amazing (and intricate) party activities and decorations. The thing is, I didn’t have time for that. So instead, I chose two simple activities. 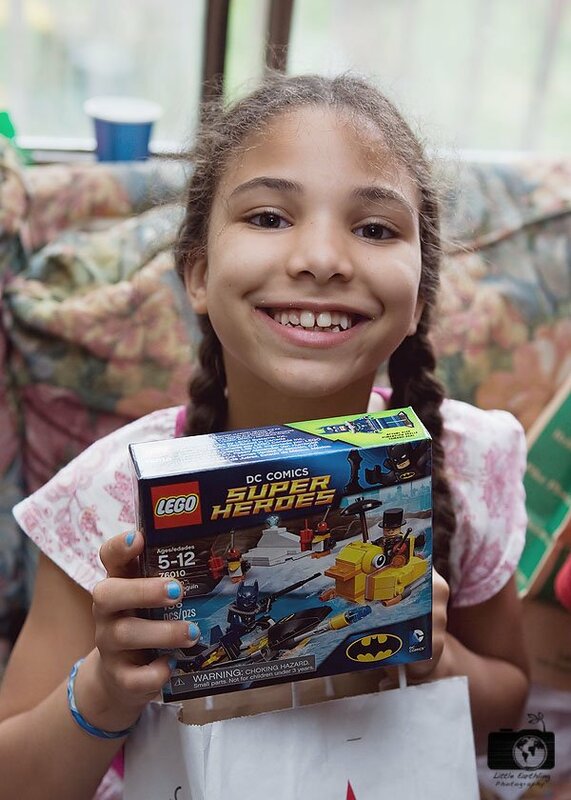 One was coloring your own LEGO® mini-figure (you can find the free printable on this site) and LEGO® Movie printables. 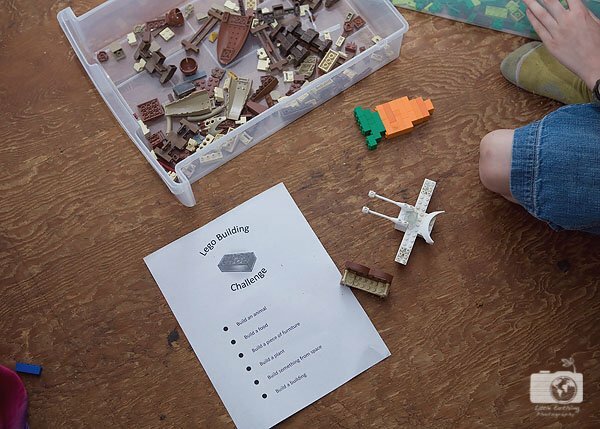 The other simple activity we did was the LEGO® Building Challenge. Enoch came up with list and printable himself (you can download the pdf here). This kept the kids busy for a good half an hour. 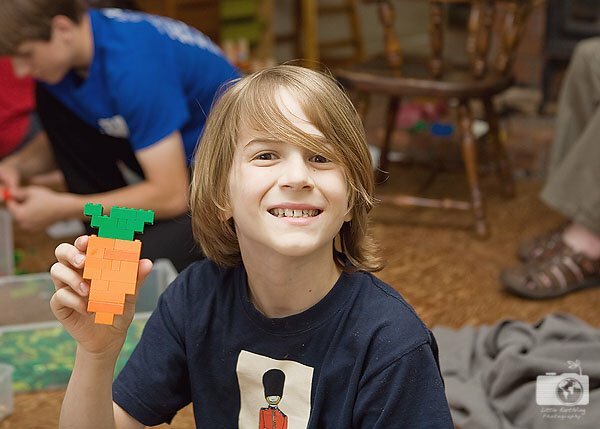 As you can see, Owen really got into building with LEGO®! 6. Relax and enjoy the party! No one else is going to enjoy it if you are grumpy and stressed out. All in all, I’d say this party went off without a hitch. 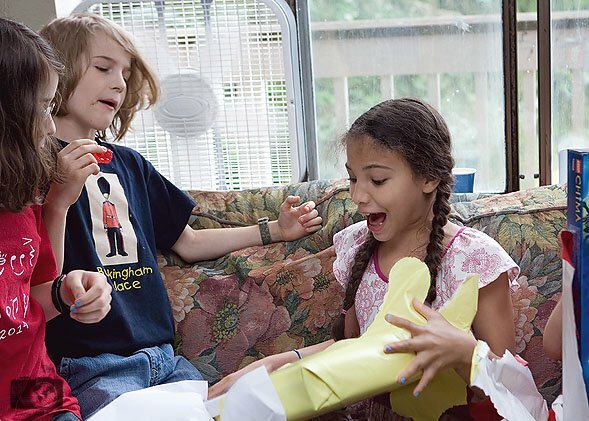 Here is a short video of the party…you really, really need to watch it to see Avi’s reaction to her birthday present! Love, love, love Avi’s joy over her present. 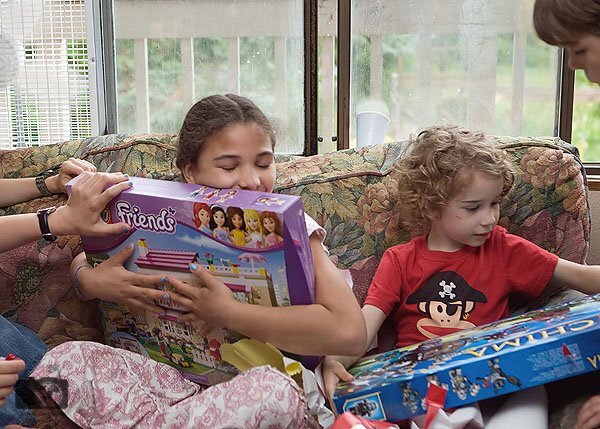 I remember a few of those kinds of gifts as a child.